Our latest addition to our range. Super cool, great colours, very durable. Quick drying, great for rainy weather. Will shine and polish your horses coat. Standard features are satin in shoulders, wither and mane area. Extremely tough, will last for many seasons. 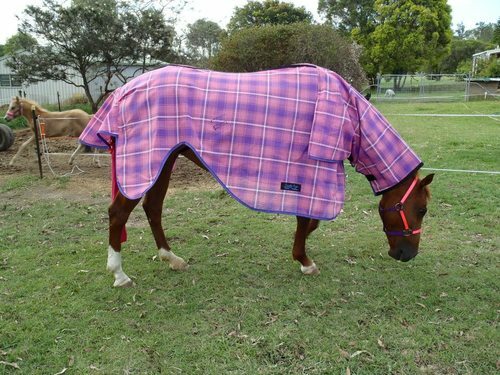 This is for the nursing broodmares, we suggest you introduce the foal and mare to the rug in a small safe yard, in case the foal gets a fright.